As hard as I tried, the only downside I could come up with in regards to Manduka is the weight of the mat. It really isn’t an issue if your practice is done mostly at home, but it is a deterrent to yogis who travel a lot. The price is hefty, too, but I think that simply guarantees quality and allows for the company to have a lifetime guarantee. These two negatives aside, this mat is incredible for comfort, stability, and grip. Its lifetime warranty means you don’t have to worry about a peeling, disintegrating mat after a few months of consistent use. The mats have a specific top and bottom side, meaning each side has a different texture. The bottom is made so there isn’t any bunching or sliding on hard floors or carpet. The PRO mat is ¼ inch thick, providing just enough cushion for your joints without being too thick and soft. The closed cell surface helps inhibit bacteria and other microorganisms from taking over your mat and creating funky smells and stains. The Manduka PRO (the most popular type of mat) is quite heavy, weighing in at seven pounds. This makes it difficult to tote around to your yoga classes. All Manduka mats are sustainably made from zero-waste PVC, and while this is great for the environment, this means the new mats do come with a strong smell. Airing it out for a few days typically eliminates the smell enough to make it bearable. 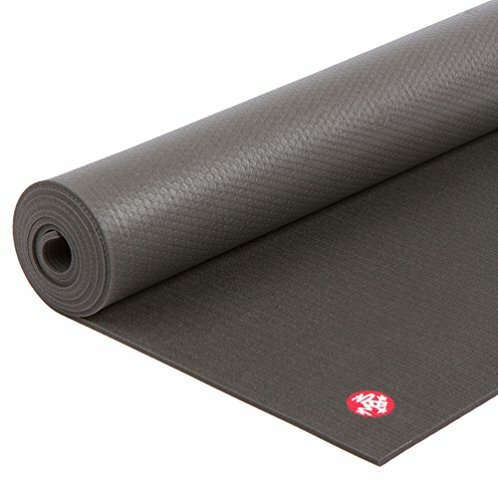 The Manduka PRO is pretty expensive. Choosing the right yoga mat isn’t as easy as trying every mat on the market and returning it if you don’t like it. Some yoga studios let you rent a mat for a class to see if you like it, but not all studios offer this handy service. Often, the only way to truly try a mat is to read as many reviews as you can and hope for the best. Well-known brands are typically a pretty safe bet for practices of all types, and the most popular yoga mat brand is definitely Manduka. I have long lusted after one of these mats, so getting to try it was deeply satisfying. These mats aren’t cheap, meaning a good review is even more important to help you choose. I hope my Manduka yoga mat review helps you make a decision! Manduka mats are known for being incredibly durable and they come with a lifetime warranty. Because they’re so well made, it’s unlikely you’ll ever have to utilize the warranty, but it’s nice to have! If you have just started your yoga practice, don’t invest in something so expensive just yet. A lesser quality mat will get you through at least six months of a regular practice, and I never recommend putting down a lot of money for something you don’t even know whether you’re going to stick with! This is just my personal recommendation, though. Also, as beloved as the Manduka is, it’s not ideal for students who constantly go to yoga studios. The mat is heavy (I’ll get into this later), and it is known for being a pain when you’re doing a lot of traveling. Consider Manduka the Lincoln of yoga mats. It’s definitely the cream of the crop in terms of high-quality mats, and you’d be hard pressed to find a large population of people who dislike it. 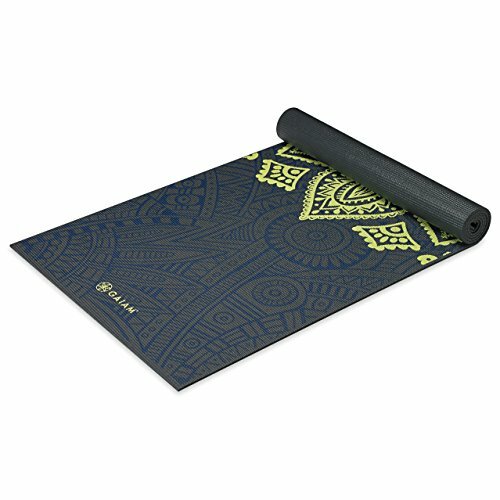 While there is a standard yoga mat size, some people need a longer mat while others need one that’s thicker than the typical mat. Manduka PRO mats come in a variety of sizes to suit your needs. The standard PRO is 71”x26”, 6 mm thick, and 7.5 pounds. There is also an extra long PRO which is 85”x26”. This adds some significant weight on, though, putting the extra long PRO at 9.5 pounds. The PROlite mats are much daintier than their big brother is. The standard PROlite is 71”x24”, 5 mm thick, and only 4 pounds. The long PROlite is 79”x24” and 4.6 pounds. Manduka prides itself on being environmentally conscious. While PVC isn’t generally considered earth-friendly, Manduka uses phalate-free PVC and the manufacturing process is emissions free. They’re also OEKO-TEX certified, guaranteeing their mats are free of harmful chemicals. I’ve practiced on slippery mats before and it’s exhausting. Manduka is known for their fabric-like surface of the mat, and the mats are actually considered textiles! With the THINNEST PRO mat being 5 mm thick, you won’t be lacking for cushion with the mat. There’s enough padding that you won’t be having to fold up towels or blankets to cushion your knees or lower back. A concern a lot of yogis have with an extra thick mat is how their wrists will fare. I know that too much cushioning leads to collapsing in your wrists (I have been there many times), but while the PRO is thick, it isn’t squishy. I’ve had my share of cheaper mats and they all wind up with the same problem: flaking rubber where my hands and feet are at. Not quite ready to put over $100 into a mat? Does the sheer size of this beastly mat deter you? Here are some alternatives that compete closely with the Manduka. The Mat is Manduka’s biggest competition. 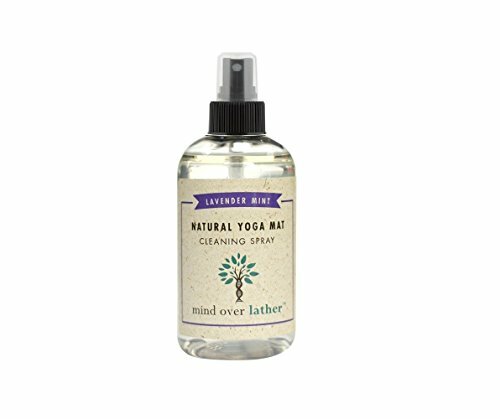 It’s popular because it offers astounding grip, making it a prime choice for you if you’re addicted to sweating your brains out in hot yoga. The top layer is made of polyurethane, so it soaks up your sweat and keeps the surface as dry as possible. While it may soak up your sweat, the mat has an added antimicrobial agent to prevent the growth of mold, bacteria, and fungi. It’s 5 mm thick, so it’s in close competition to the PRO in terms of thickness and comfort. It’s a lot lighter than the PRO at just 5.8 pounds. Almost all reviews state it has a strong rubber smell that’s almost impossible to get rid of. The mat is prone to staining, especially if you get it in a color other than black. Manduka is supposed to last a lifetime, but it seems that The Mat wears out after two or three years of regular use. Gaiam mats are affordable and the quality doesn’t reflect the price at all. They come in two thickness (3 and 5 mm) so you have just as much cushion as you get with the more expensive options. Despite the thickness of the 5mm mat, it still remains lightweight so you can take it to the studio without the extra workout. It does become slippery when you’re sweaty, so I don’t recommend it for hot yoga classes. The colors do fade or turn brown fairly quickly. Because it’s a cheaper mat, it will only last a year or two with fairly regular practice. Manduka eKO Yoga and Pilates Mat, Thunder, 5mm, 71"
The comfortably cushioned 71" x 26" eKO yoga mat has a natural rubber grip that catches you if you start to slip. With its eco-friendly construction, this biodegradable, non-Amazon harvested natural tree rubber mat supports both your practice and our planet. 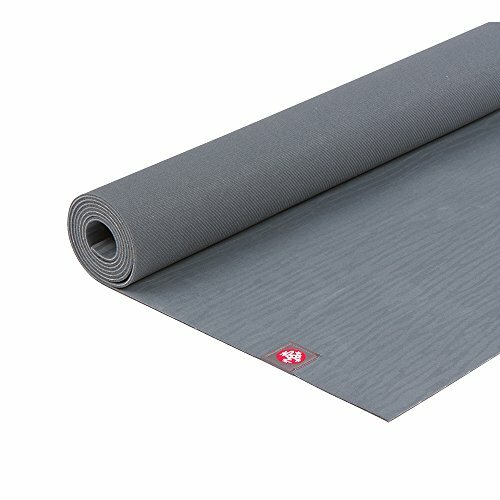 I still consider Manduka’s other mats a viable option to their PRO, especially if it’s just the materials deterring you and not the quality of the mats themselves. If you read any Manduka eKO mat review, you’ll see that the eKO and PRO mats have more in common than the things they don’t. The eKO mats are made of natural tree rubber which makes them biodegradable when they meet their demise. The top of the mat is still closed cell to prevent bacteria growth while the bottom is open cell for ultimate cushioning. The surface has a “sea grass” texture to keep you from slipping no matter how sweaty you get. The mat is still quite heavy at 7 pounds. Because it’s made of natural rubber, it still has a pungent smell. The open cell technology on the bottom means you can’t submerge it in water to clean it. Prana ECO Yoga Mat Review – Can it hold up against Manduka, Jade and Lululemon?